JAMES JIMMY LOVELL AIWOHI January 14, 1941 - August 22, 2015 James Aiwohi, 74, was born in Honolulu to Henry and Ivy Aiwohi on January 14, 1941. He was a 1959 graduate of Saint Louis College; received his Associate of Arts Degree in General Studies from Boise Junior College; Bachelor's Degree in Education from College of Idaho; and his Masters of Education - Administration from the University of Las Vegas, Nevada. 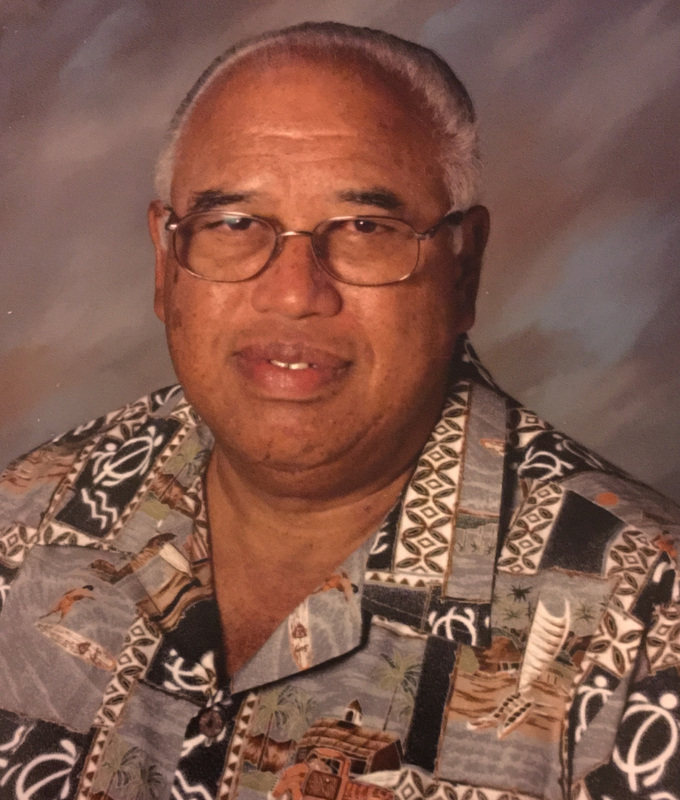 He was a retired teacher and taught in Nevada, Idaho, Washington and Hawaii and coached football and boys and girls basketball for over 30 years. He met and married Sallie Holes and had 3 daughters, Annette Aiwohi, Jennette (Steve) Fedler, Lynnette (Ron) Jacobs. James expanded his family to include daughter Mary (John) Aiwohi-Cisco and son, James Aiwohi. He loved golfing, spending time with his family and friends and playing board/card games with his children/grandchildren. James is survived by his devoted companion, Meta Rittmeister (my heart and my soul) of Hawaii; two sisters, Casina (Wayne) Waterman of Hawaii and Henrietta (John) Sommerville of California; daughters, Mary of Oregon, Annette of Washington, Jennette and Lynnette both of Oregon; son, James of Nebraska; grandchildren, Dan, Joshua, Dean, Susan, Christopher and Reilly; and two great-grandchildren, Xavien and Adrian and numerous nieces and nephews. We feel overwhelmed and lost when we realize he has left us but we reflect on the legacy he left. James was a loving companion, father, grandfather, brother, uncle and coach. He taught us all to be proud, humble, kind and loving. He was a very giving man who was loved by so many and will be forever in our hearts. Services will be on Saturday, September 12, 2015 at Mystical Rose Oratory, 3140 Waialae Ave, Honolulu, HI 96816 with the visitation beginning at 10:00 a.m. and services beginning at 11:00 a.m.